The Mountains Are Calling is the exhilarating story of the runners who go to high places. From its wild origins in the Highlands, hill running in Scotland remains as pure and traditional as sport gets. Jonny Muir explores the history and culture of the sport and meets the legends of hill running, who are revered for their extraordinary endurance. 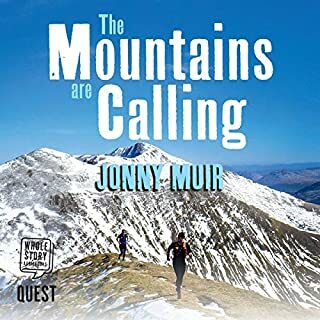 As he discovers the insatiable lure of the hills, a calling leads him to the supreme test of mountain running: Ramsay's Round, a continuous loop of 23 of Scotland highest mountains, to be completed within 24 hours. 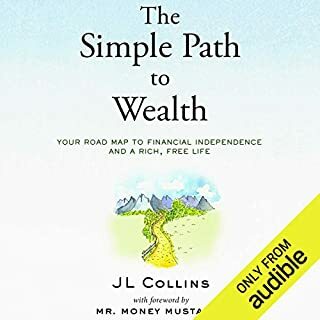 I had a hard copy of this book already and loved it so when I saw you could get the audio version at a great price I went for it as I like audio books /podcasts while driving or out walking sometimes. This wonderful book was spoiled somewhat by the narrator’s dreadful pronunciation of Scottish places, names and gaelic words. Coupled with cringemaking attempts at local accents sadly reduced my enjoyment of this audio book. At times it sounded as though the book was being read by a ‘sat nav’ computerised voice. Really weird. I prefer audio books to be read by the author wherever possible but I appreciate not everyone has the ability to create an effective voice over. Maybe I’m being picky but I want to hear the correct pronounciation of places and names regardless of the country of origin. Otherwise a very entertaining and inspiring book which I recommend to everyone interested in hills and running. Bought this book on recommendation that it has been life changing for some. 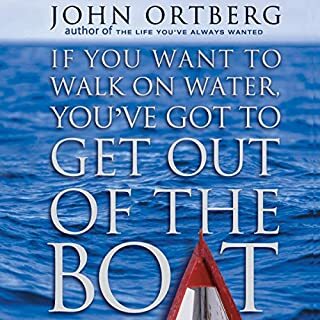 I could not get past the early chapter advising that God will be waiting with a performance review of your life for you, (if you reach heaven) so you’d better make sure you do something good with your life or he’ll have something to say about it. Well....so much for religion being welcoming and encouraging to folks who haven’t lived a perfect life or are unlikely to do anything spectacular in the future. For me, looking for a spiritual pathway, this completely turned me off. Despite attempts to persevere with this book I just could not get past this section. I will be looking elsewhere for ‘spiritual enlightenment’ i’m afraid. How can something so simple be so effective? We all know the things we need to do but don’t do them. The real life stories in this book will show you that anyone can change their future. Regardless of their past. Mel narrates the text perfectly in my opinion. It’s like she’s sitting having a chat with you over a cup of coffee. 100% natural and genuine. She makes you feel you can do anything you want. 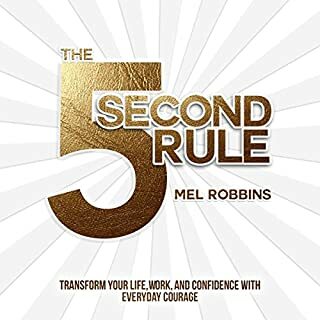 The 5 Second Rule is for anyone. Read it, listen to it, change your life.